Caitlin Shaughnessy discovers that Inez, a traumatized young Mayan woman, has killed Caitlin's psychoanalyst partner, Dr. Jerry Simpson. Simpson brought the girl, who may be autistic, back to Canada as an act of mercy and to attempt to treat her obvious trauma. Caitlin desperately needs to find out why this terrible incident occurred so she can find the strength to forgive and move on with her life. Inez, whose sense of wonder and innocence touches all who meet her, becomes a focal point for many of the Canadians who encounter her. As Caitlin struggles to uncover the truth about Inez's relationship with Jerry, Inez struggles to break free of the projections of others. Each must confront her own anger and despair. The doctors in the north have an iciness that matches their surroundings, a kind of clinical armour that Caitlin must penetrate if she is to reach Inez. The story is told in alternating perspectives between Jerry, the man who rescued Inez from Guatemala, and Caitlin, Jerry's lover. I found dealing with the multiple perspectives confusing at first because there didn't seem to be much difference in language and dialogue between the two characters. Typically when there is more than one narrator, you can tell who is speaking just by the cadence of their voice or the rhythm of the narration going on, but with Caitlin and Jerry, they sounded exactly the same. Of course, that kind of confusion was cleared up when the two started narrating different years altogether. Jerry is narrating the years when he first discovered Inez, and Caitlin is narrating the time after Jerry dies. To be honest, I wasn't a fan of this style. You know almost all of what is going to happen to Jerry before he even gets a chance to tell you about it so I found myself losing interest in the chapters where he was speaking. I did enjoy both narratives though, and the story grew on you the longer you read. The story is very peculiar. Jerry, a psychoanalyst from Canada is on a trip to Guatemala. He obviously loves the country and it's people and he's saddened by the war and bloodshed going on. He manages to come across a refugee girl who is being forced to live in a small shed, and is chained up inside. Her parents beg Jerry to take her away, and being a kind-hearted man, he does. Too bad for him, Inez turns out to be a little more distraught than anyone knew and she ends up killing poor Jerry. You find yourself wondering at what is really going on in the story. What drove Inez so off the deep end? Who is really the villain here? Inez? Or the traumatic and terrifying life she was living in Guatemala. It's a very challenging and thought provoking story that is filled with intensity and suspense. What I found really interesting about Girl in the Box was all the psychology in it. You could tell that the author has really done her homework! From the use of hallucinogenic drugs in patients to the symptoms of autism, everything was spot-on when it came to the analysis and description of disorders and treatment for patients. For me, this was great! I've always been pretty interested in psychology and why people act the way they do, so it was really cool to see all of the different disabilities and problems fictionalized in a way that makes them way more enjoyable than just reading a text book about them. Jerry however, drove me nuts with his constant psychoanalyzing of Caitlin. If I was her, I would drop him in a hot second because when they are having an argument, he throws out all her issues like her mother abandoning her and her insecurity when it comes to Inez. That is just wrong. I think that's why I tend to stay away from the psychologist types in real life. Inez is a truly wonderful character. She's hauntingly beautiful, and is a jumble of mixed up emotions and personalities. I was caught off-guard by her simple mannerisms and quiet inner strength. You are all confused about what to think of her because 1) she's been abused and damaged so you feel sympathy 2) she has the elegance and innocence of a child playing so you want to love her 3) she killed Jerry...so you want to hate her. You never know where you stand when it comes to the girl. Is she a conniving murderess? Is she just a sheltered girl who has dilusions? What? You get caught up in the mystery surrounding her so that she is this constant driving force in the book. Both Inez and Caitlin struggle with personal demons throughout the book and even though both of them have huge faults, you can't help but rooting for each of them to get their happy ending. I give The Girl in the Box 3 Keys. It is a compelling and tragic mystery that will leave you haunted and thinking about it for days to come. It is a very smart book with lots of deep meaningful reflections and determinations about life. It is the story of three personal journeys towards self discovery and what it truly means to be okay. Girl in the Box has complex layers of emotion that leave you literally drained at the end, but you leave the book feeling satisfied that you got through it. Sounds like an interesting read. Thanks for the great review. Hi, Mary. Thanks for the comment.  I'm pleased to be part of Andra's blog today. This sounds really interesting. I love psychology and am probably going to minor in it. :D Great review. I hope you read and like it, Ashley. Psychology has always fascinated me, though I majored in Eng. Lit. OH, THANK YOU, Andra! I saw you had given me one star on Goodreads yesterday, and I felt sick. I am so relieved you liked my book. I almost didn't read the review, I was that scared. To make it even better, you've written a thoughtful, considered and intelligent review. Thank you for that, and thanks for being part of my tour. OMIGOSH Sheila!! I am SO sorry! I entered the star # on my iPhone...I'm still getting used to it...I Definitely did NOT mean to give 1 star! lol Sorry for the pain and stress! Not a problem, Andra! I'm just the oversensitive type, but I am hugely glad it was a mistake. I read the reviews and comments on your blog and thought, "What an intelligent young woman. And she hates my book. Oh no. Can't even write her off as someone I don't care about." I appreciate the comments of Caitlin's and Jerry's "voices" at the beginning. I had no idea they were so similar. I will watch out for that in future writing. Did you know you can change the stars on Goodreads? If it isn't too much to ask, I hope you'll do that. And if you have an account on Amazon, I hope you'll consider cutting and pasting your review there. I here the more good reviews you get, the more it helps sales. You've made my day! I hope yours is going well, too. Oh definitely! 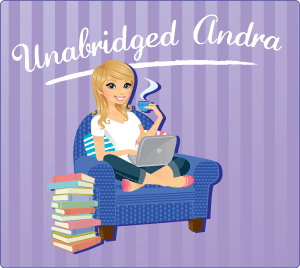 I jumped onto Goodreads as soon as I read your comment! It's now changed :D yay! My day is going very well, thanks so much! Glad to have you here for today!